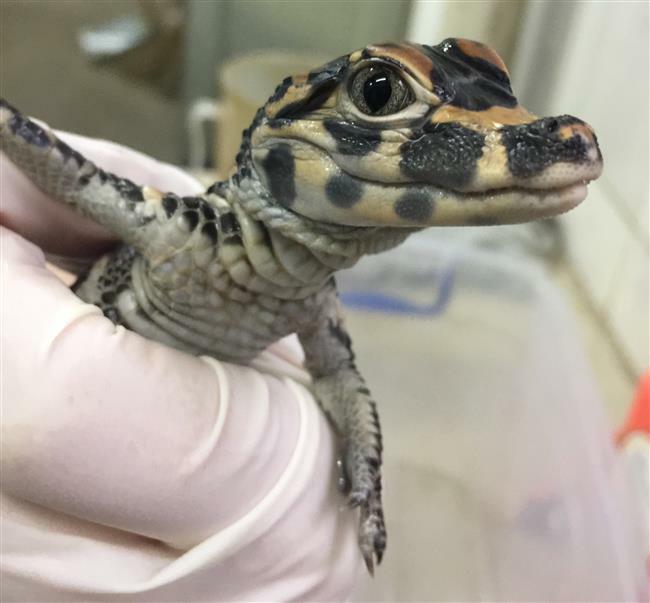 Eight Chinese alligators have been hatched at Shanghai Zoo this year. 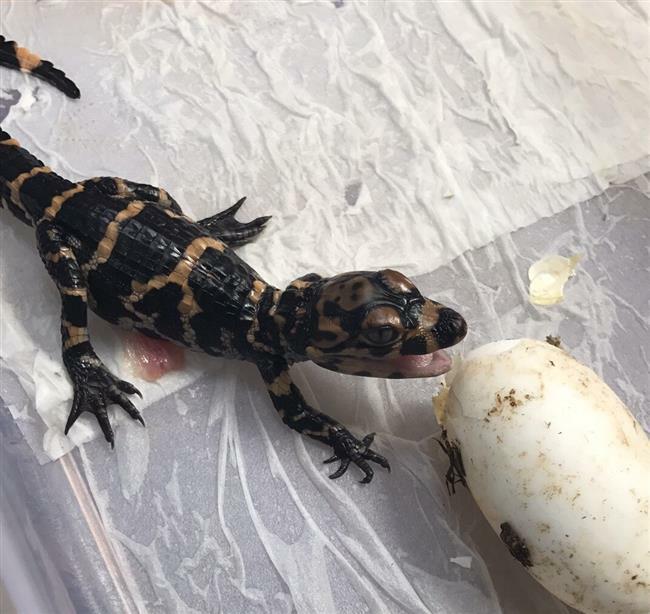 A critically endangered Chinese alligator greets the world just after hatching at Shanghai Zoo earlier this month. Eight alligators have hatched this year thanks to a breeding program in cooperation with Dongtan Wetland Park, Chongming District. 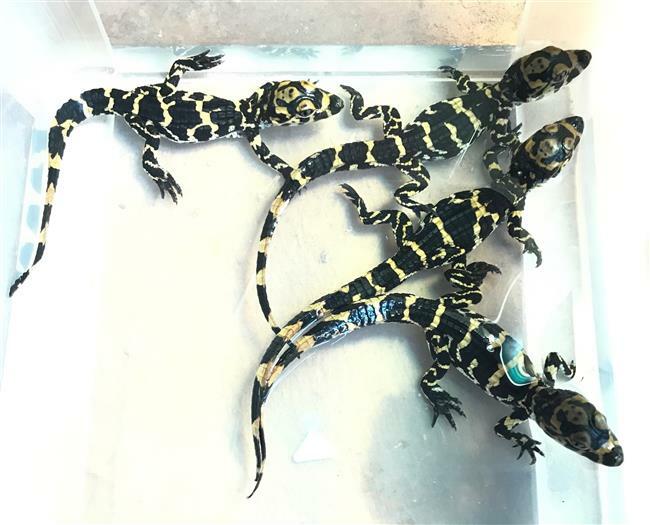 Eight Chinese alligators have hatched at Shanghai Zoo this year, thanks to a breeding program in cooperation with Dongtan Wetland Park, Chongming District. Chinese alligators breed in June and the 16 alligators at the zoo were often seen gathering together and calling to one another, particularly at dusk and dawn on rainy days, zoo keepers said yesterday. In early July, keepers started artificial incubation of 12 eggs in three incubation boxes at different temperature and humidity settings. After 58 days, eight alligators were born in two boxes. Another four eggs are expected to hatch next week. The eight baby alligators are all over 20 centimeters long and weigh an average of 32 grams. They are very active and are able to catch small shrimps now. The Chinese alligator is critically endangered. The zoo started the research program with Dongtan last year. Dongtan wetland is home to a habitat modification program to allow the population to recover. It is the largest natural river wetland in the Yangtze River basin, and contains suitable habitat for the species.